Watch the fight of a former ALA boxer from Tagbilaran City, Bohol, Philippines Czar Amonsot against Decha Kokietgym of Thailand. Czar Amonsot now is having his good career in Austrailia. He is now the PABA light welterweight title Champion. Amonsot now is looking great, he has an impressive 8 winning streak and 5 of that was via KO. 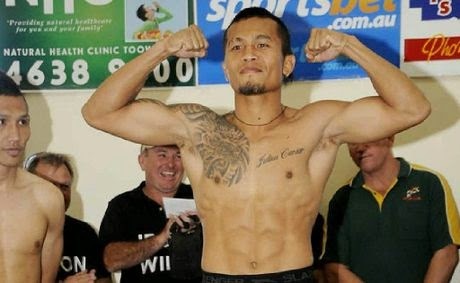 On the other side Decha Kokietgym has also have a nice career, he's a experienced boxer and has a record of 34W-11L. As Czar Amonsot doing a great career in Australia, he still carrying the flag of the Philippines. And he is still looking for the great exposure in boxing. Amonsot now is ranked no. 45 in light welterweight in the world and ranked no. 2 in the Philippines. Amonsot is still young at the age of 28 and he still has the potential to be a world champion someday.